The Rapoo 3510 Plus wireless optical mouse boasts of a battery life of 12 months and 1000 DPI tracking, available in three fabric colour variants. Rapoo announced the release of the 3510 Plus mouse in India. The mouse connects to your computing devices using a 2.4G wireless connection. It boasts of a battery life of 12 months on a single charge of the included AA alkaline battery. The optical sensor inside is capable of offering 1000 DPI. In terms of aesthetics, the mouse is covered with a fabric; available in three colour options of blue, black and grey. RAPOO - a leading manufacturer of wireless peripheral products, has introduced the 3510 Plus 2.4G Fabric Wireless Optical Mouse in India. 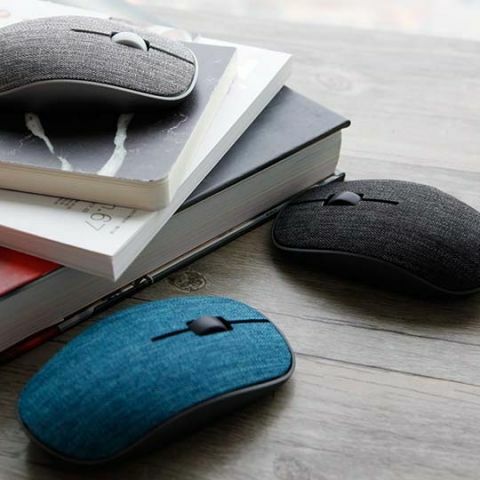 A fusion of innovation and style, the RAPOO 3510 Plus Fabric Wireless Optical Mouse is an exquisite combination of a soft fabric surface, cool colours and a textural effect felt when touched. The product is designed to be of a proper size (113 x 64 x 30 mm), ideal for both hands. It offers a big advantage in portability with a delicate 80g body and a plug-and-play ultra-mini NANO receiver. Stable 2.4G wireless technology covers a 10m transmission distance and effectively prevents the mouse link from jamming. The 12 months’ battery life makes it an effective productivity tool. Moreover, it is adaptable to different surfaces with the 1000 DPI HD invisible tracking engine. The Rapoo 3510 Plus Fabric Wireless Optical Mouse will shortly be available in India in 3 colours, blue, black and grey. It will be available offline as well as online via Rapoo’s authorised partners. Soft fabric cover is not only durable and breathable but also offers an extremely comfortable grip. The high-performance engine enables you to use 3510 Plus on virtually any surface. Enjoy a high-speed response and unrivalled accuracy. Mac OS computer with a USB port.